On their farm in Denby, Iowa, Rosanna and Walter Langdon abide by time-honored values that they pass on to their five wildly different children: from Frank, the handsome, willful first born, and Joe, whose love of animals and the land sustains him, to Claire, who earns a special place in her father’s heart. Each chapter in Some Luck covers a single year, beginning in 1920, as American soldiers like Walter return home from World War I, and going up through the early 1950s, with the country on the cusp of enormous social and economic change. As the Langdons branch out from Iowa to both coasts of America, the personal and the historical merge seamlessly: one moment electricity is just beginning to power the farm, and the next a son is volunteering to fight the Nazis; later still, a girl you’d seen growing up now has a little girl of her own, and you discover that your laughter and your admiration for all these lives are mixing with tears. 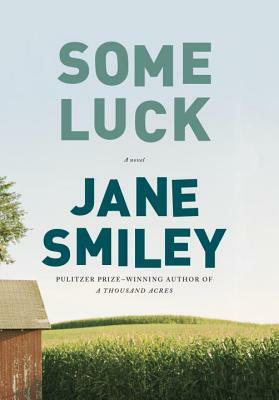 Jane Smiley is the author of numerous novels, including A Thousand Acres, which was awarded the Pulitzer Prize, as well as five works of nonfiction and a series of books for young adults. In 2001 she was inducted into the American Academy of Arts and Letters, and in 2006 she received the PEN USA Lifetime Achievement Award for Literature. She lives in Northern California.